aCategory 1: Based upon high-level evidence, there is uniform NCCN consensus that the intervention is appropriate. bGood performance status for this regimen (AG) is defined as KPS ≥70, so some patients with an ECOG score of 2 may be eligible to receive this regimen (AG). Good performance status is defined as ECOG 0-1 with patent biliary stent and adequate nutritional intake. 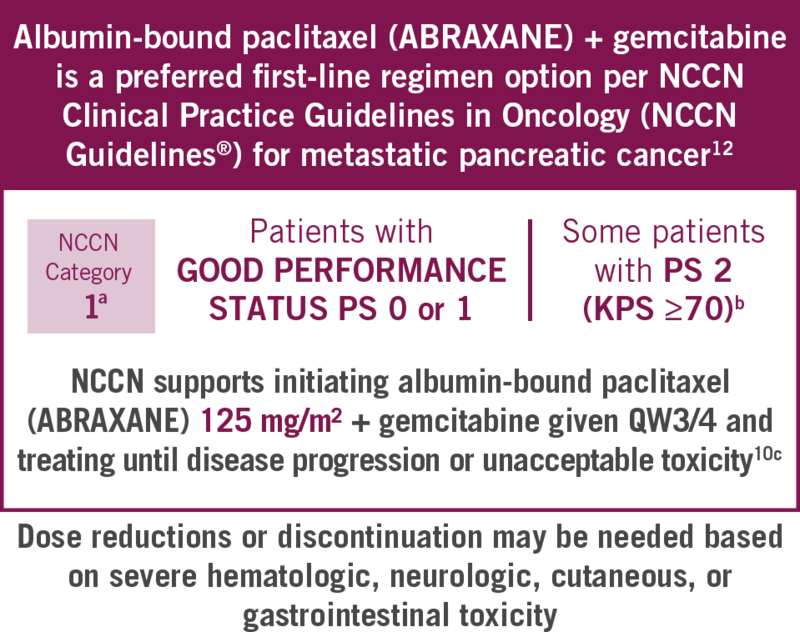 Please refer to the NCCN Guidelines for pancreatic cancer for a complete list of recommended treatment options.